This is an Out of Character forum for the players of Etzos looking for further information about the area. 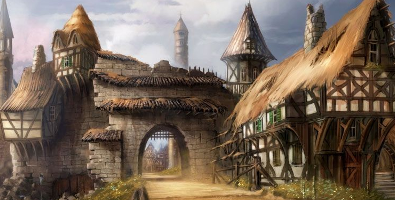 With the escalation of hostilities between Etzos and Rhakros, a series of small walled towns is being established as a network of early warnings and defenses against Rhakros' reprisals. Only the very bravest and most formidable of characters should risk themselves on the Witches' Wilds frontier. Lucretia stumbles upon an old and long abandoned mine quarry.